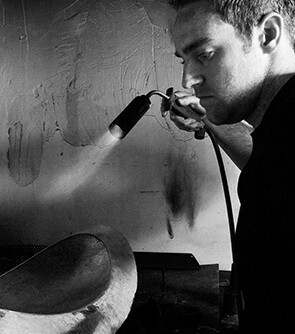 Award winning designer Benjamin James Ryan specialises in designing and producing bespoke pieces of contemporary silverware and jewellery. His work has a significant engineering influence used to create beautifully functional and practical items. 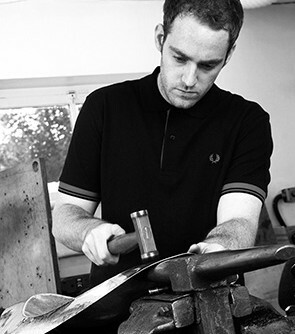 His bespoke range of hand crafted silverware and jewellery, employs the use of both traditional making skills as well as cutting edge new technologies, such as ‘Water Jet Cutting’, ‘3D Rapid Prototyping’ and various ‘Computer Aided Design’ (CAD) packages. His creations consist of a mixture of materials including precious metals and stones, and offer diverse design solutions to suit any occasion or environment. 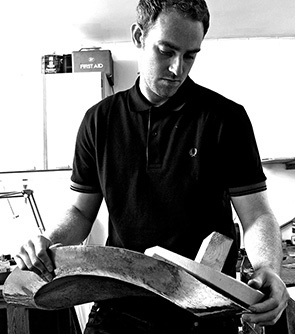 In recent years Benjamin has won a number of awards including ‘Craftsmanship & Design Awards’ for design, craftsmanship and innovation in technology, as well as the prestigious ‘Young Designer Silversmith of the Year Award’ and ‘Gil Packard Bursary’ presented by The Worshipful Company of Goldsmiths’, London. His work is on permanent display at the National Museum of Wales, and has also been on show in London’s Victoria & Albert Museum and Christies Auction House as well as featuring on Channel Four’s television show ‘Four Rooms’. Benjamin’s design premise is based in The Goldsmiths Centre, Clerkenwell, London. For the manufacture of his products, work is carried out at his workshop in Welwyn in Hertfordshire, which is just north of London, and has good links into Kingscross via Welwyn North, Knebworth, and Welwyn Garden City train stations. Benjamin James Ryan also offers a custom design service where he can produce personalised design ideas using both Computer Aided Design (CAD) and or traditional drawing techniques. If you would like to commission or enquire about a piece you have seen on the website or at an event/exhibition, or wish to discuss design consultancy services you can contact Benjamin by clicking on the link below. Request a copy of my CV here.